Stevie Marks traveled 7,000 miles across five countries. 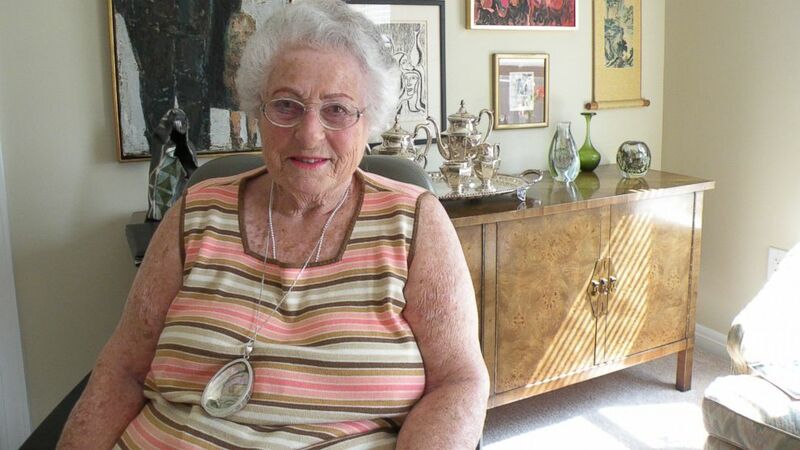 camera (Stevie Marks/The Kenwood by Senior Star) Stevie Marks, 89, recounts her story as a Holocaust survivor. "When we woke up in the morning we heard some German tanks in the village saying 'Everybody out! Jews on one side, everybody else on the other,'" Marks of Cincinnati, Ohio tells ABC News. "After a few minutes one of the officers pointed to 10 Orthodox men. They took these men and tied their beards to the back of a truck and dragged them through the streets," she said, crying. (Stevie Marks/The Kenwood by Senior Star) An undated photo of Stevie at a young age. Marks was born an only child in Poland on June 4, 1925. When she was five years old, she and her parents moved to Belgium until August 1939, when Marks says, a trip back to Poland would remove them from Belgium forever. "We kept receiving phone calls from Belgium to come back immediately because the Germans were going to invade,” she says. "Well, we were dilly dallying and sure enough, we woke up one morning and the bombs were flying." After witnessing the execution of 10 innocent Jews in Warsaw, Marks and her family were on the run again-- this time, to her father's hometown of Lodz, Poland. After a year of running and hiding her family from the Nazi's, Marks says her mother was determined to get out of Poland. 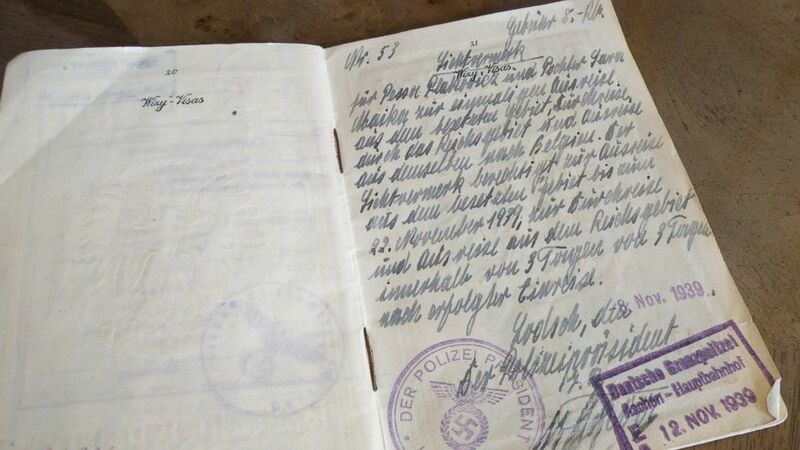 (Stevie Marks/The Kenwood by Senior Star) The page of Marks' passport where the Nazi officer authorized a trip out of Poland. "My mother said Himmler was coming to Lodz," she says. "Himmler was Hitler's right-hand man. She said if we were ever going to get out of Poland, we had to go to the top. My father said 'You're crazy, they're going to kill you.' My mother thought we were as good as dead anyway." Marks, who is now a speaker for the Center for Holocaust & Humanity Education, says she and her mother went to German headquarters where they were greeted by an officer who they thought was Heinrich Himmler, a leading member of the Nazi party in Germany. Marks later found out through a friend's research that the soldier's true identity was SS- Brigadeführer Johannes Schäfer. "My mother warned me not to speak any other don’t speak any word other than French, otherwise he would know I was Jewish," Marks says. "I was scared, but obedient." 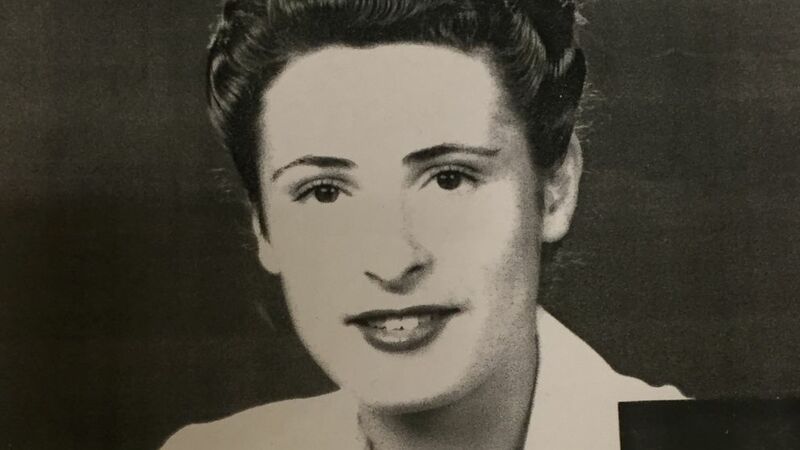 After Marks' mother told the officer they were Belgium residents, Marks says to their surprise, the soldier stamped their passports and offered them a train back home, where she and her family would again, pose as non-Jews, and ride among 3,000 Nazi soldiers. 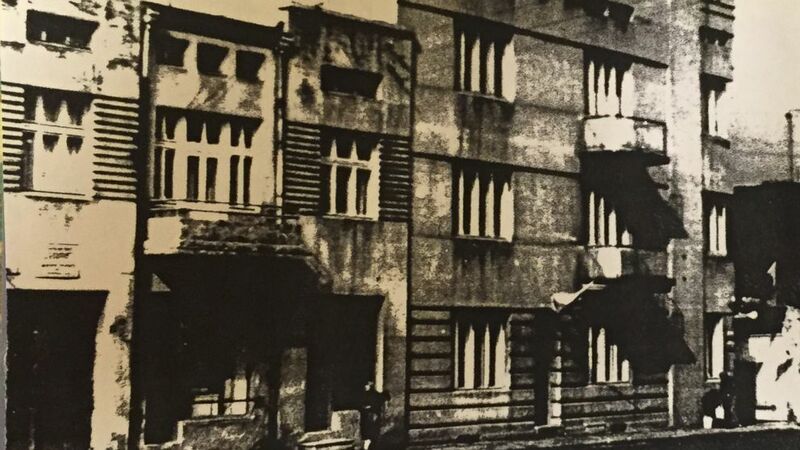 (Stevie Marks/The Kenwood by Senior Star) A photo of Stevie's childhood home in Belgium. "We were the only three civilians on that train," Marks says. "For years I thought maybe he knew we were Jewish, maybe he didn’t." Soon after, the Nazis invaded Belgium and the Marks’ took off to France, then Portugal, where they went to the American consulate requesting entrance into the United States. Three months after being sponsored by family in Ohio, Marks, at the time 16 years old, says she and her family were finally free. Her father later bought a hardware store and they settled in Cincinnati, where Marks went to school, eventually married, and had two children. 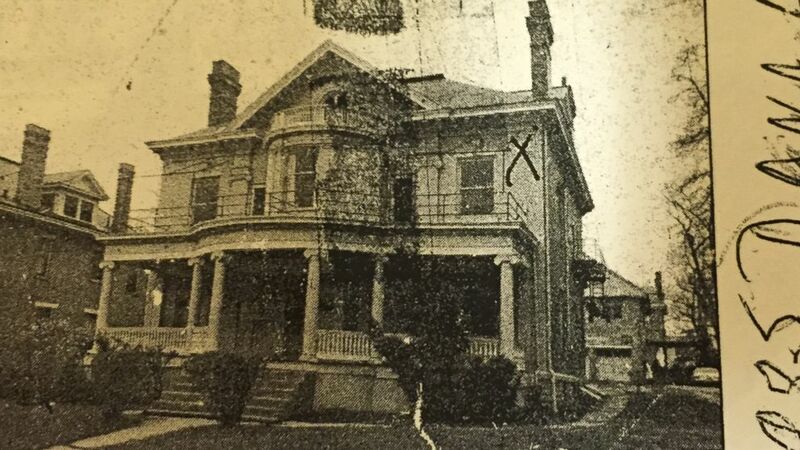 (Stevie Marks/The Kenwood by Senior Star) A photo of Stevie's first home in Cincinnati on Dana Avenue. Today, Marks lives down the hall from her cousin and savior, Maybel, in the Kenwood home for seniors and says she is thrilled to be reconnected to her family who in 1941, offered them safety from the Nazi’s. Marks says she continue to share her remarkable life experience in hopes it will change the world for the better. "I've always hoped that I’d reach these children and the adults so that this wouldn't be repeated," she says. "I want it to be a gentler world, but there’s more anti-Semitism and I'm afraid, I really am. I hope that we will conquer them, that we will stop them. I will continue talking. I will talk until the day I die. "I will plead for peace."